Orbyx Deluxe - The highly acclaimed XBox 360 pachinko game makes it's way to the PC. 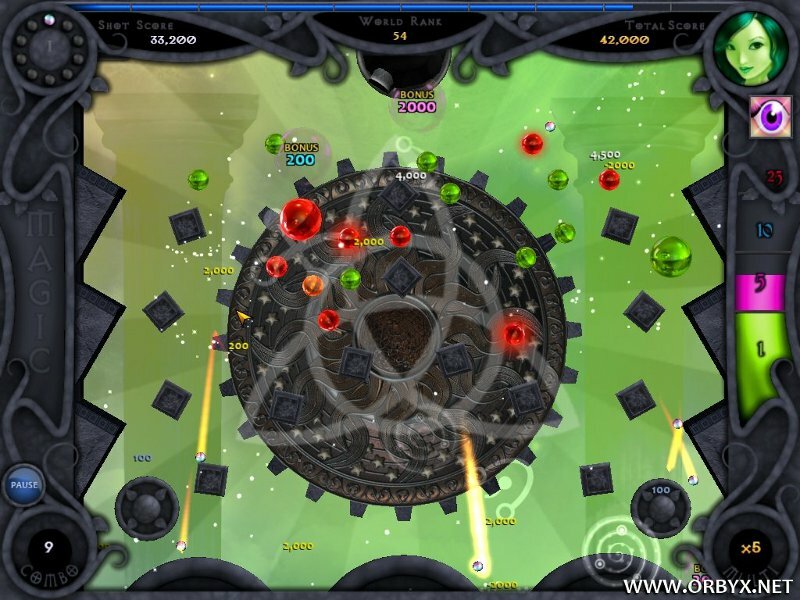 Orbyx Deluxe is an awesome arcade puzzle game that anyone can play. Exclusive features include 50 ingenious levels, 100 bonus challenges, online scoreboards (compete worldwide for the highest scores), 44 unique magic spell combos, a brand new adventure mode, Facebook medals - and lots more tweaks and enhancements. The highly acclaimed XBox 360 pachinko game makes it's way to the PC. ...... To stop the witches from ever regaining their strength he scattered the golden Orbyx shards throughout the world, hoping they would never be found. Now for the first time ever the witches have asked the humans for help. As the kingdom's greatest explorer you have been sent to meet the witches and help recover the shards of the shattered artefact. If you succeed they can restore order to the land once again, but if you fail mankind will be destroyed forever by the forces of chaos. Good luck! Qweas is providing links to Orbyx Deluxe 1.3.0 as a courtesy, and makes no representations regarding Orbyx Deluxe or any other applications or any information related thereto. Any questions, complaints or claims regarding this application Orbyx Deluxe 1.3.0 must be directed to the appropriate software vendor. You may click the publisher link of Orbyx Deluxe on the top of this page to get more details about the vendor.